Died: October 23, 1970 in Bourne Ma. at 85 yrs, 5 mos, 1d. 1. Gardner Garfield Gibbs; (August 6, 1906 – July 7, 1986); Married Alice May Anglim (1911 – 2003) (Henry Thomas Anglim & Grace Annie Tirrell) in Brockton Ma. on September 9, 1934; Gardner & Alice are buried in Pocasset Cemetery. 2. Harold Stanley Gibbs; (January 26, 1909 – September 18, 1985); Married Dorothy Knight (1911 – 1981) (Ernest Cowden Knight & Bertha Crowell (Gibbs)) in Bourne Ma. on June 29, 1930; Harold & Dorothy are in Pocasset Cemetery. 3. 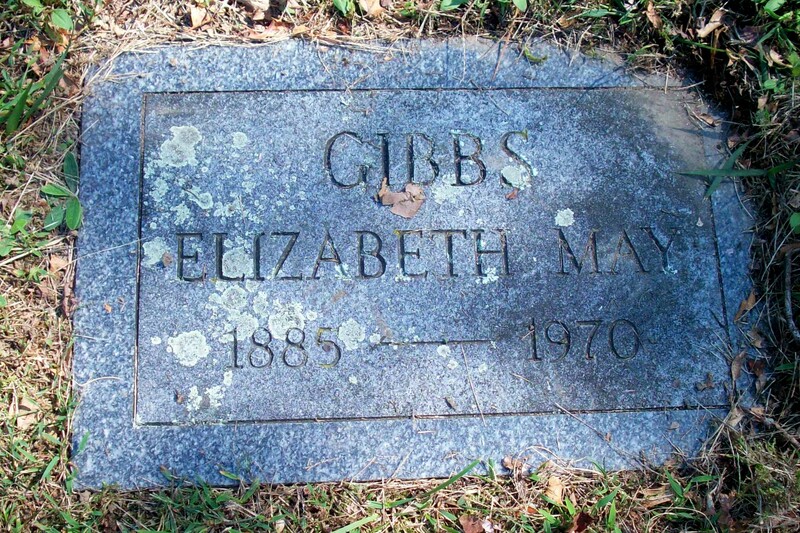 Elaine May Gibbs Brightman Pinson; (February 5, 1911 – March 28, 1991); Married (1) Sterling Haubner Brightman (1902 – 1966) (Robert E. Brightman & Libbie Clinton Haubner) in Bourne Ma. on October 10, 1931; She married (2) Paul Frederick Pinson (1925 – 1999) (Edgar Milton Pinson & Alice Ida Champion) in San Mateo Ca. on May 28, 1959; Sterling married (2) Florence (Larkin) Norton in Bourne Ma. on March 5, 1959; Elaine died in Clark Nv..
4. Walter Gordon Gibbs; (September 8, 1915 – April 23, 1916); Walter died in Bourne Ma. at 7 mos, 16 d..
5. Ward Nelson Gibbs, WW ll; (March 27, 1919 – June 7, 1972); Ward died at Boston Veterans Hospital at 53 yrs. 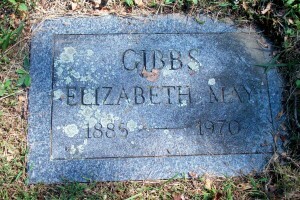 ; He was a carpenter & is buried in Pocasset Cemetery.